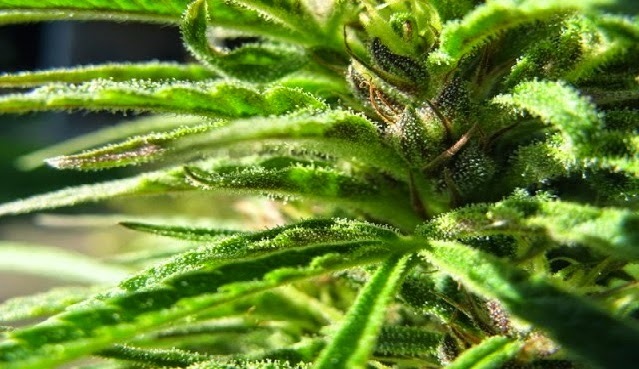 The active ingredient in marijuana cuts tumor growth in common lung cancer in half and significantly reduces the ability of the cancer to spread, say researchers at Harvard University who tested the chemical in both lab and mouse studies. They say this is the first set of experiments to show that the compound, Delta-tetrahydrocannabinol (THC), inhibits EGF-induced growth and migration in epidermal growth factor receptor (EGFR) expressing non-small cell lung cancer cell lines. Lung cancers that over-express EGFR are usually highly aggressive and resistant to chemotherapy. Acting through cannabinoid receptors CB1 and CB2, endocannabinoids (as well as THC) are thought to play a role in variety of biological functions, including pain and anxiety control, and inflammation. Although a medical derivative of THC, known as Marinol, has been approved for use as an appetite stimulant for cancer patients, and a small number of U.S. states allow use of medical marijuana to treat the same side effect, few studies have shown that THC might have anti-tumor activity, Preet says. The only clinical trial testing THC as a treatment against cancer growth was a recently completed British pilot study in human glioblastoma.